I love eating fruits. At home we always have to have apples. Wherever I go somewhere, I always bring apples for me and my son. 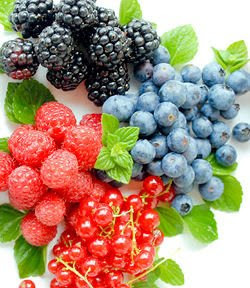 I told my husband that when we get our own place, I will plant fruit tress and berry plants like Apricot trees, blackberry, blueberry and raspberry plants because we love to eat all kinds of fruits. Berry fruits are also good in pie. I am not really a pie person but I want to learn how to make all kinds of pie with berries because my husband loves it.